We’re back on it folks. New year (well, 3 months in already) and lots of new wedding stories to share. I’m not finished with my 2018 blogs though. 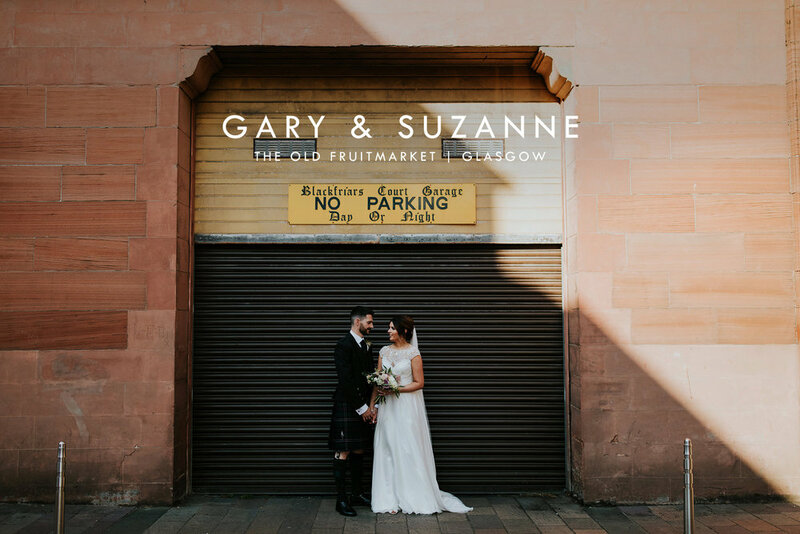 There’s still more to share and with that being said… here’s Suzanne and Gary at the coolest of the cool, The Old Fruitmarket. 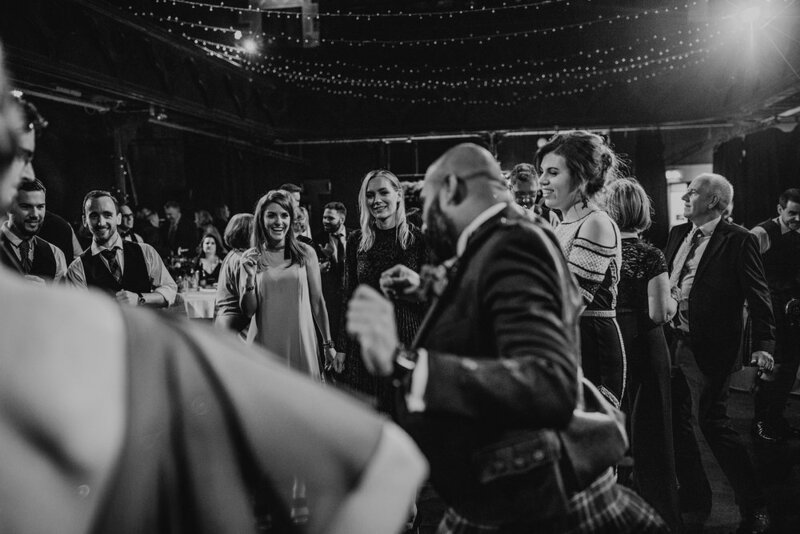 Hidden in behind the historic walls of City Hall in the Merchant City in Glasgow, the Old Fruitmarket has kept it’s charm and is a fantastic venue to host lots of happy people. You all know I love a city wedding and the city vibes get me every time. Combine that with the sunny day, some lovely people and nothing but happy faces and I’m chuffed to bits. That is exactly what Suzanne and Gary brought to the table and it was perfect. The sun was gloriously shining and the atmospheric low light of the Old Fruitmarket was the perfect contrast. Gary and Suzanne were super chilled and took the day in there stride. 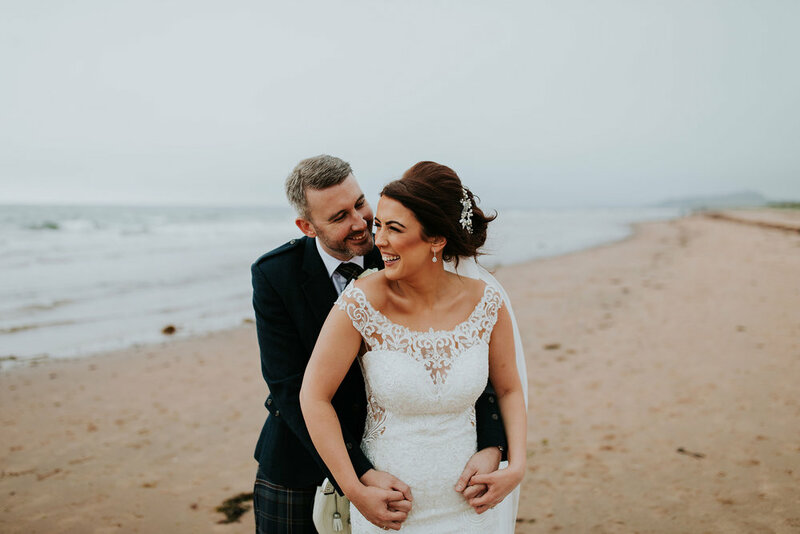 Dunglass Estate Wedding Photographer | Clare and Tim. These blog posts are getting longer and longer. 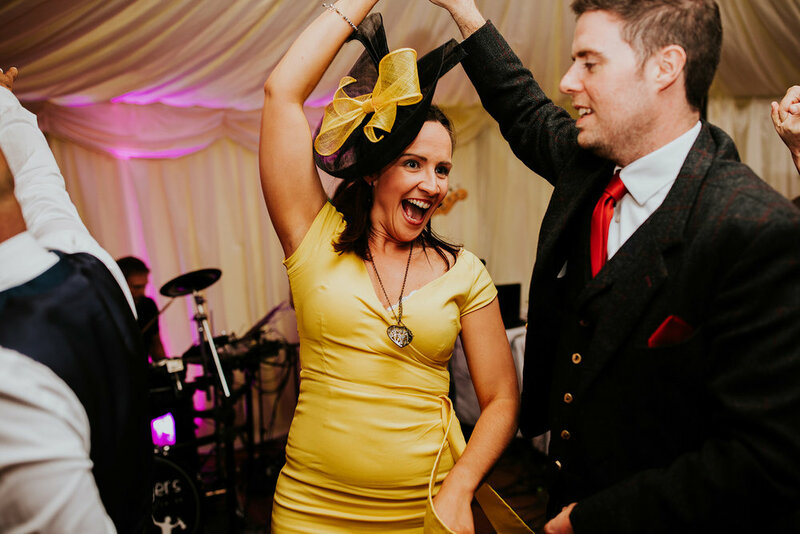 My apologies but the weddings have been so good that I just go a bit mental with the images. Let me introduce you to Clare and Tim. 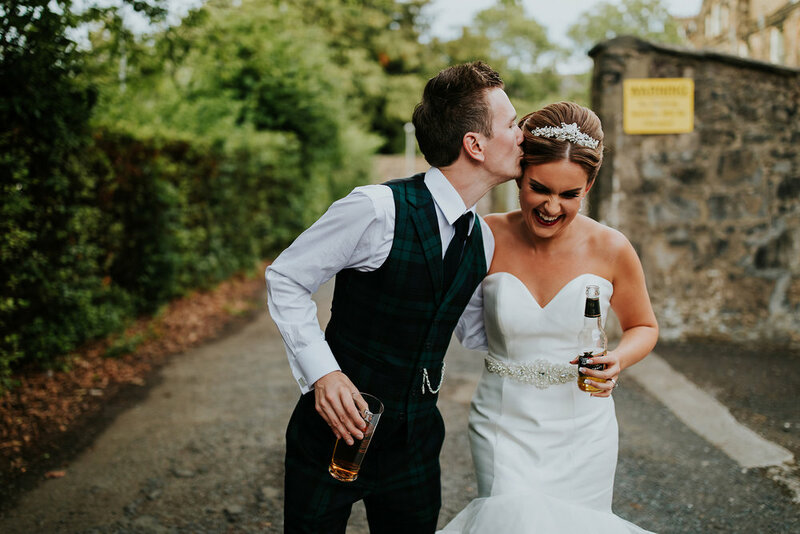 A couple of clever clog Vets who got married in the ruins of Dunglass Estate and it was truly an amazing day. We got overcast skies, buckets of rain and then the juiciest of golden hours. I actually took them out 3 times for their pictures because the light kept getting better and better. Barn weddings are certainly not unusual these days but Harelaw Farm must be one of the best out there. 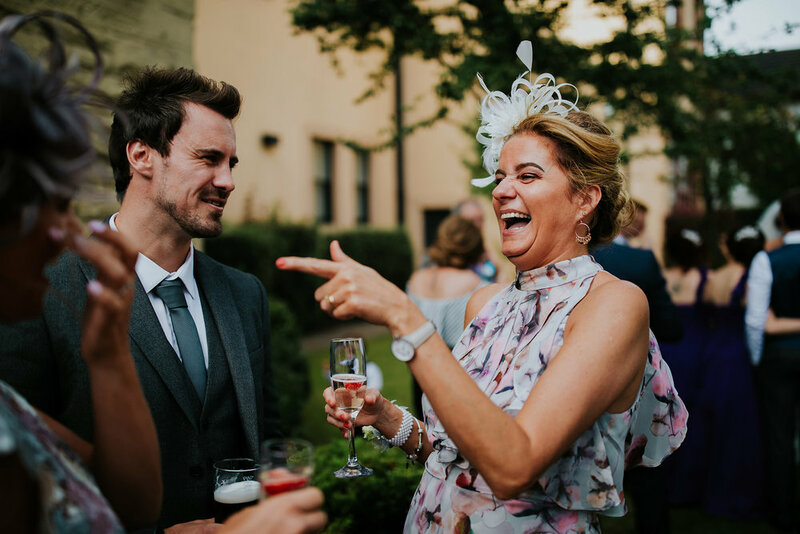 When you mix a great venue, amazing weather and the best people, you get a photographers dream and it is my pleasure to present to you the wedding of the hilarious…Amanda and Jordan. From start to finish, there was nothing but smiles, laughter and a damn good time. These 2 were amazing and the whole day was over in a flash. 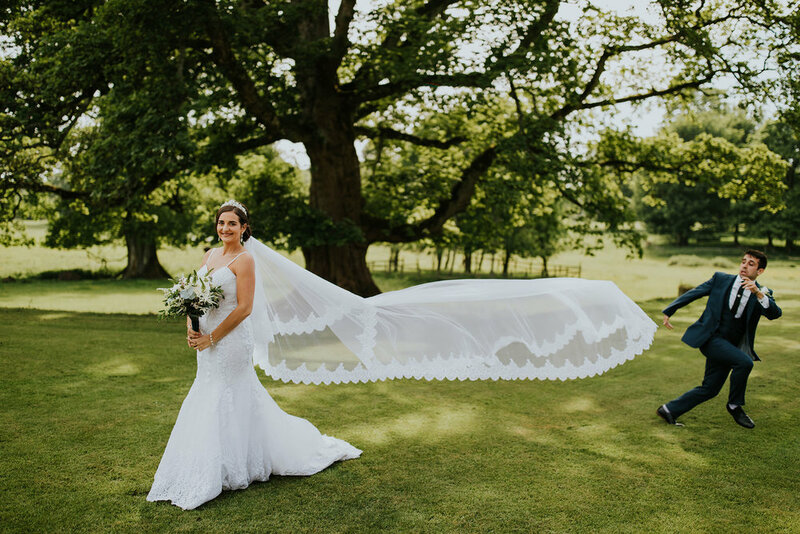 Amanda looked gorgeous in a stunning June Brides dress whilst Jordan nailed the dapper gent look in a fitted suit from Slaters Menswear. This is 100% the longest blog post I have posted yet. There’s just too much good stuff going on and so many happy faces. 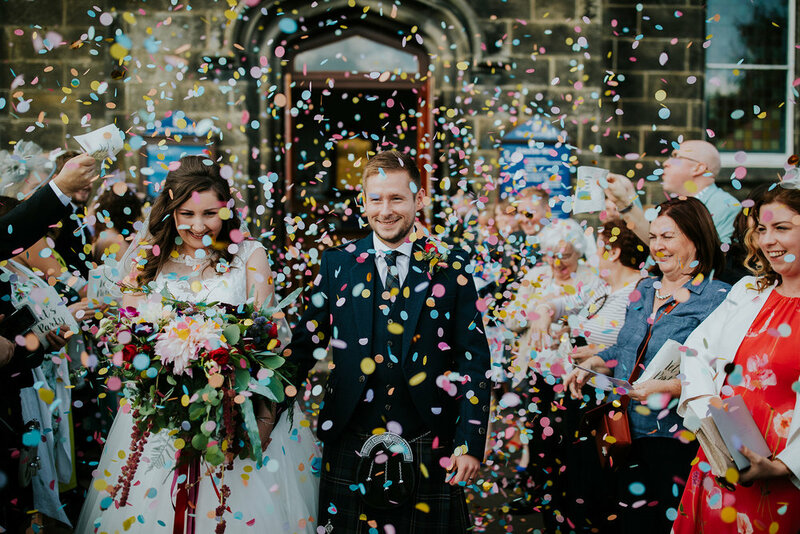 Rachel and Rory got married at The Barn at Harburn. 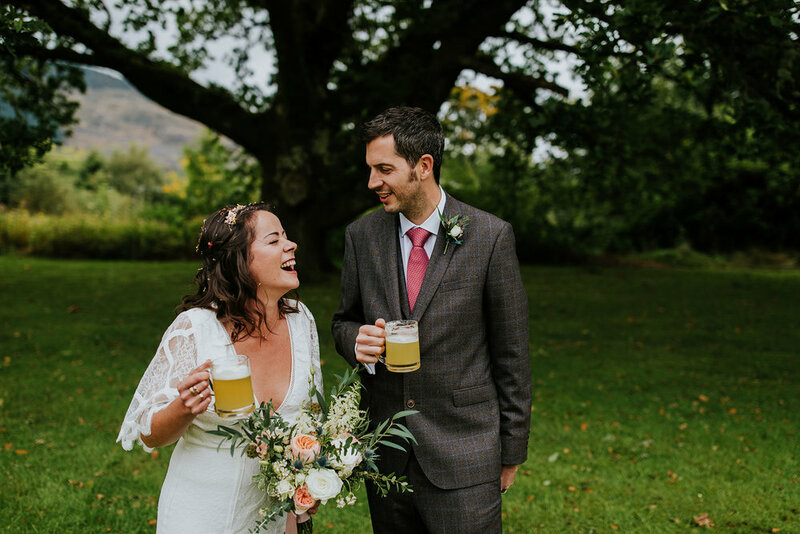 A gorgeous estate with stunning greenery, rustic vibes and it was styled to perfection with the help of The Floral Design Boutiques gorgeous floral arrangements and the creativity from Rachel and Rory. The whole place looked amazing and I was close to taking a chomp out of the Grace & Co. cake. The only thing that stopped me was the pile of doughnuts next to it. I can’t resist. Everything about this day was just amazing. The weather was kind of all over the place but it rained when it didn’t matter and that’s fine by me. Everyone spilled out into the gardens for some mini golf, or hung about in the courtyard sitting on hay bales. Sometimes when people are spread all over the place it can take away some of the atmosphere on the day but not today, it was like a festival. I really really do not know where to start with this one but here goes. Holly and Matt are from Canada, but live in the US. Initially, when they got in touch, they talked pretty casually about being in Scotland travelling. 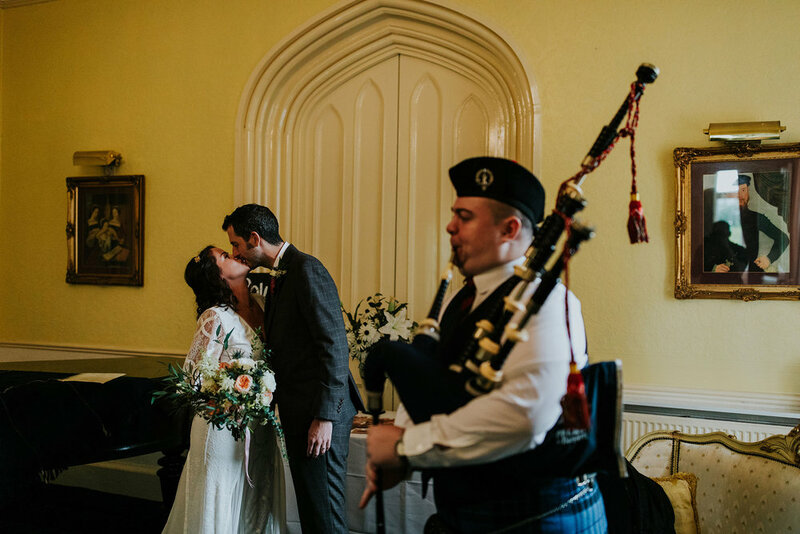 They happened to stumble across Duns Castle and thought it would be a pretty cool place to have their wedding and so decided to bring over some friends and family and have a nice chilled wedding day. It all sounded lovely. t's no secret that I love weddings and especially the big ones with loads of guests. There's lots to photograph and I love seeing everyone enjoying themselves. 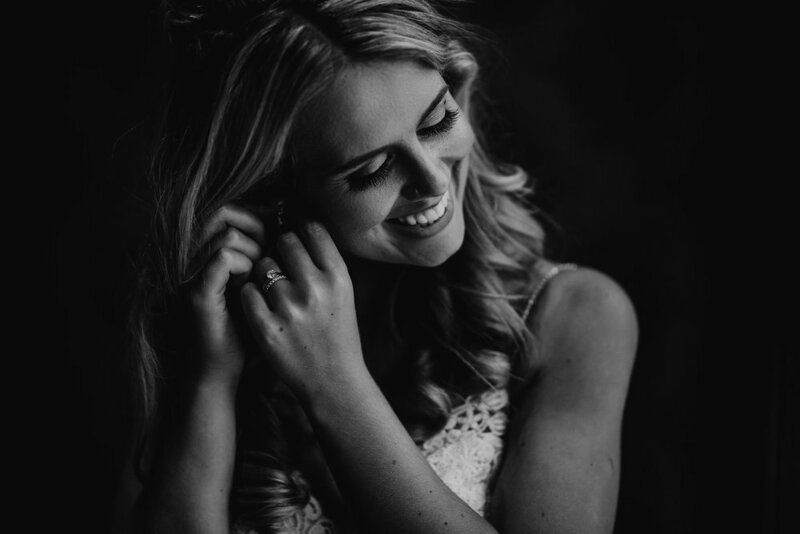 It's a great job where every wedding has something different about it and I get to meet so many interesting people...but...every now and then something comes along and it's just a whole different experience and a whole new appreciation for the job. You know when you go to a wedding and you just know it's going to be a total corker of day! Well I had this feeling from the moment I met Lauren and Andy. They are 2 very special and very hardworking people, I'm lucky that I was asked to be part of this outstanding wedding day. 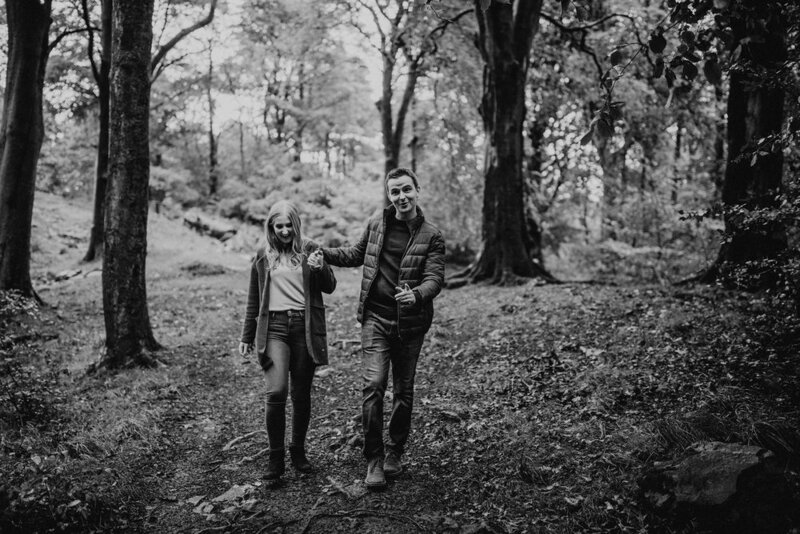 I had my trusty 2nd shooter, Martin, with me to handle Groom prep whilst I tackled the bridal prep and after a beautiful church ceremony, we headed off to the hidden gem that is Greenbank Gardens. The weather was stonkingly good, a little to good for us photographers (photographing in the bright sun is hard y'all) but with gardens like Greenbank there was absolutely no complaining. It's a stunning place! 2018 has taken me over to the East Coast more times in the last 3 months than in my whole wedding photography career and I have to say...I have been missing out. 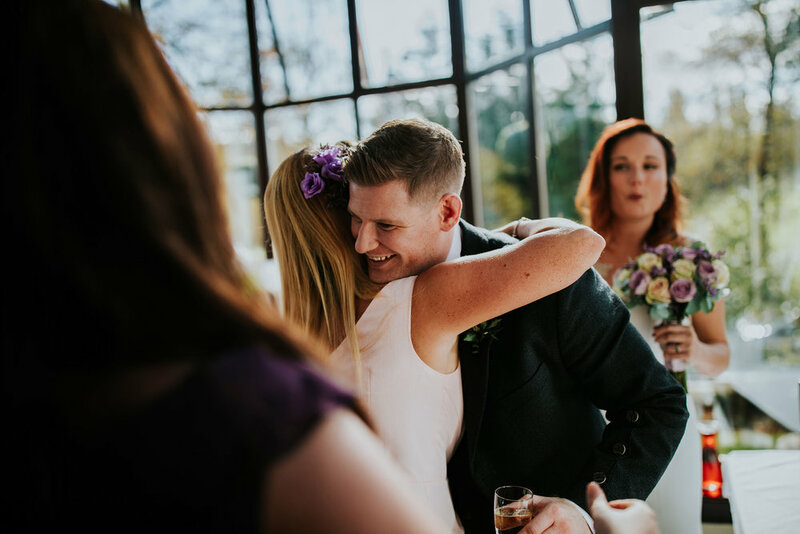 Jack and Lauren currently live in London (Check out Jack's company, Analogue Motion, they're currently absolutely smashing a Kickstarter campaign) but home was the only place for them when it came to the wedding. 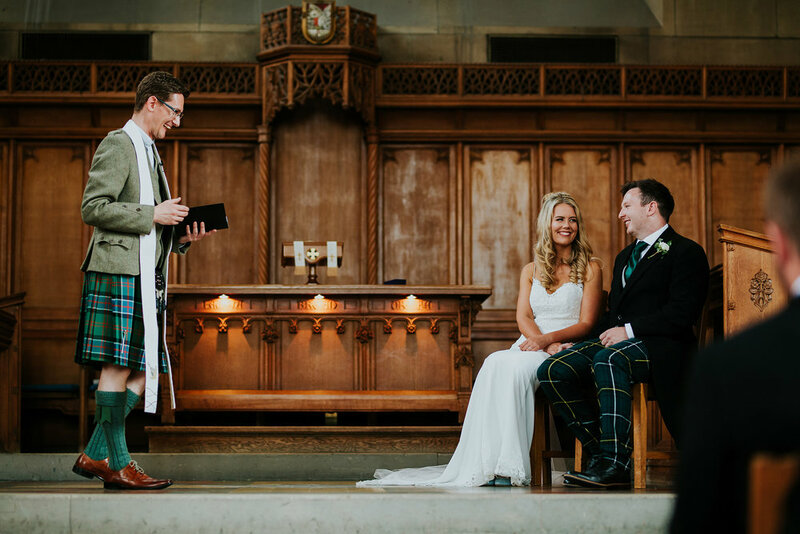 Choosing Lower College Hall in St Salvadors Quadrangle, St Andrews University for their ceremony and the quaint Crail Community Hall for their reception, it was bloody beautiful. It was one of the nicest days of the year so far. 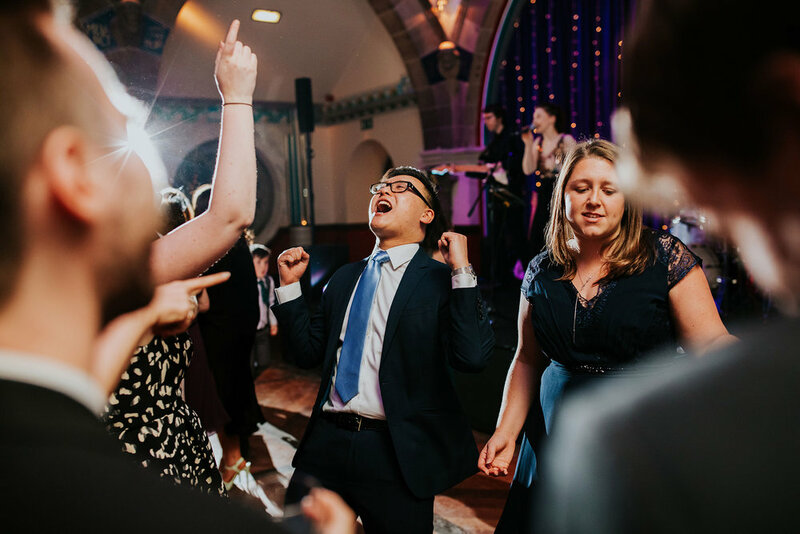 How do I describe just how good this wedding was? Imagine a freshly made doughnut enveloped in a blanket of sugar, with hot nutella drizzled over the top. Sarah and Ally's wedding was the equivalent of that. It was delicious! 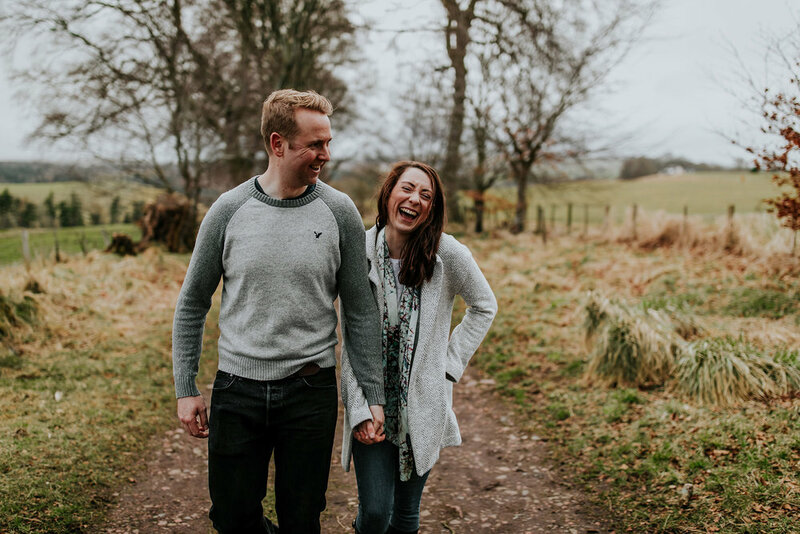 I shot their engagement shoot at the start of the year in the crazy snow at the top of Blackford Hill in Edinburgh and I knew instantly that these guys were straight up perfect! I was excited for the wedding and certainly wasn't disappointed. Cambo Estate, sits on the east coast at St Andrews and is basically a photographers dream. With its stunning exterior, grounds and stunning stately home interior it really is a photographers playground. The added bonus is the courtyard with a bar and fire pit leading into the old barn which is amazing with it's indoor/outdoor feel to it. This is a serious contender for my favourite venue yet. 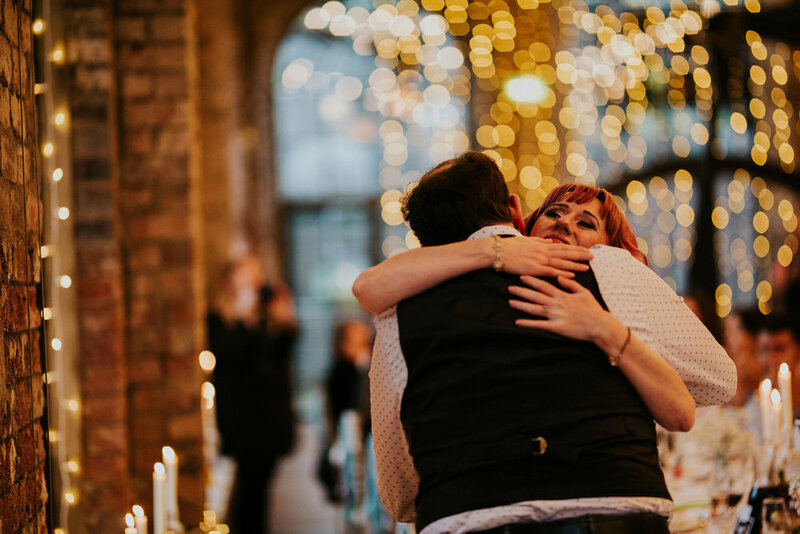 It is perfect and Louise (wedding coordinator) runs it in the most chilled and relaxed way. No stress. I first met Marc in 1999. We were both fresh faced 16 year olds working in our local leisure centre for beer money. He was actually one the first people I met when I started. He had started working there a few months before me. It's bonkers to think that almost 20 years later, I'd be photographing his wedding. 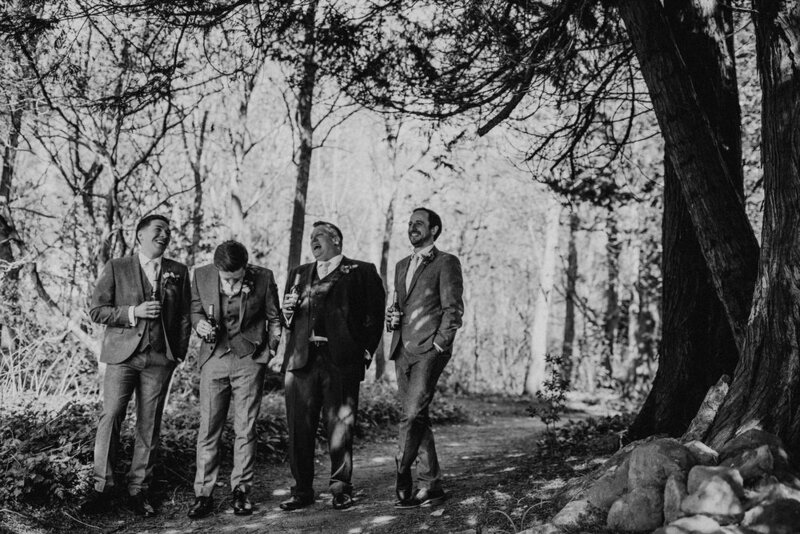 There's always something a little bit different about photographing a friends wedding. I suppose in some ways, it's a little more special and it's the best feeling when they trust me with such a task especially when they've seen me staggering about and eating a pizza crunch at 3am on a few occasions. 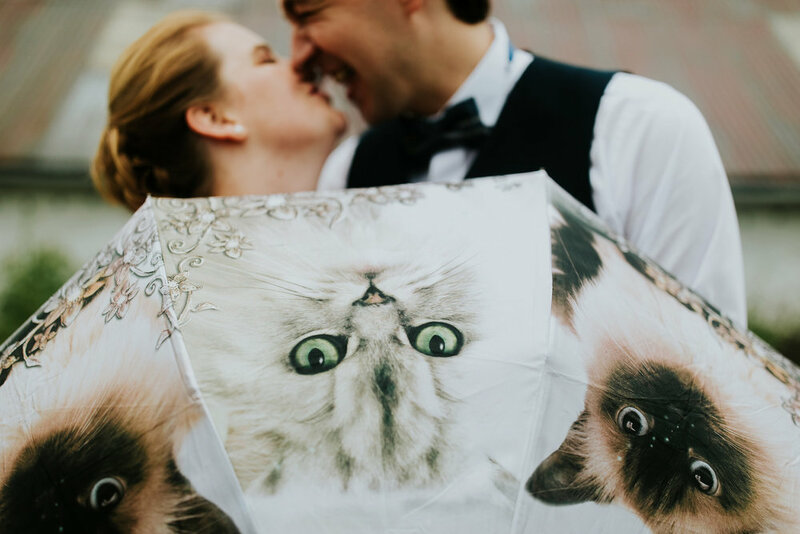 Question: What do you do when it rains on your wedding day? This was the attitude of Jamie and Sarah. A couple of smashers with the best attitudes ever. Their wedding was literally perfect. Even though it poured down all day. 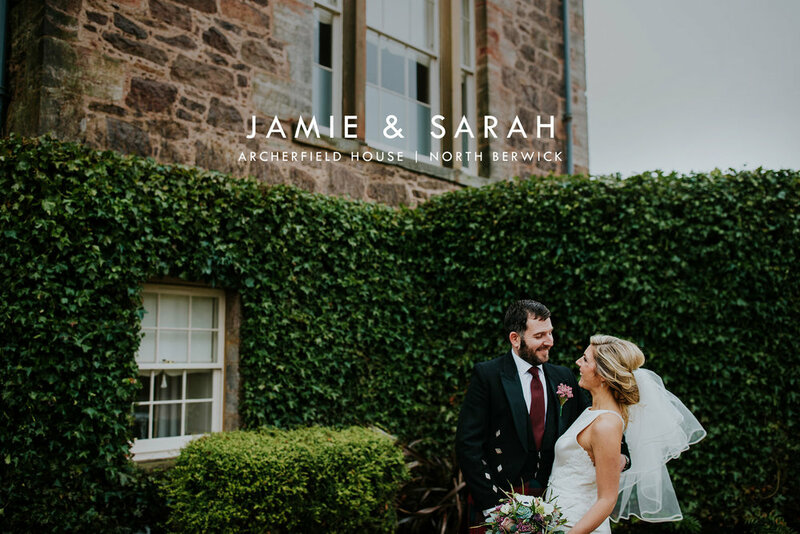 This was my first time at Archerfield House in North Berwick. It's hard to not to feel like a kid in a candy shop at these types of venues. 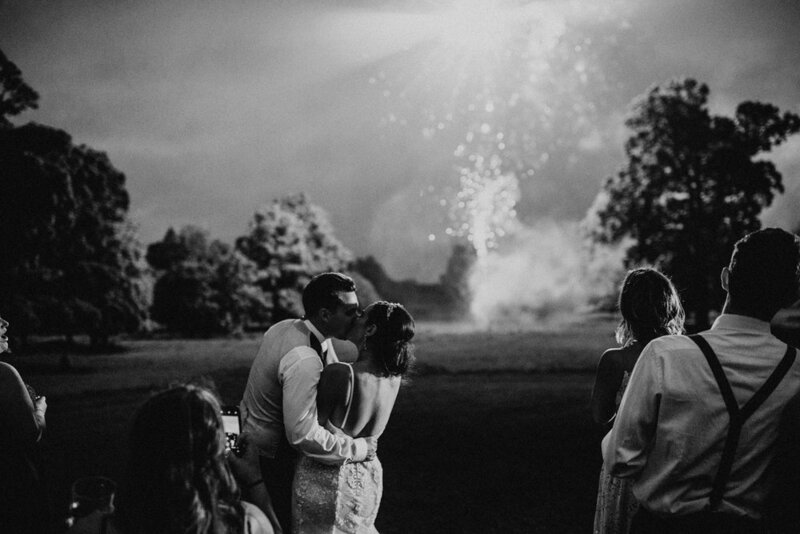 It's jaw droppingly stunning and the absolute perfect venue for Jamie and Sarah. The staff are absolutely amazing and it really felt like such a chilled and stress free day. 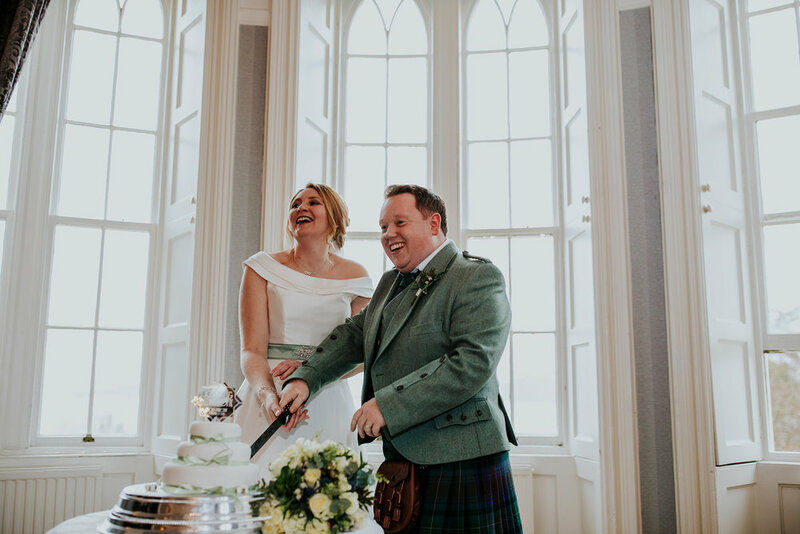 I actually met the happy couple at Sarah's sisters wedding (the lovely Catriona and Stuart) and I remember Sarah being so funny and Jamie being really drunk haha. Pretty much my idea of a perfect couple tbh. I thought they were already married but when their email dropped into my inbox I was ecstatic! The rain was forecast to be pretty continuous throughout the day and it was spot on. The rain literally didn't stop and only got heavier as the day when on so what did we do? Grabbed a couple of brollies and went out anyway! The whole bridal party came outside too. This is what its all about! Just go with it! Another reason as to why I knew Jamie and Sarah were my ideal couple, they just did what felt right! They wanted pictures outside so that's what we did. We didn't stay out long cos it was bloomin' freezing but it was worth heading out for a little while. At Cat and Stu's wedding last year, Sarah's brother, Keith, took the honour of being the toast master for their wedding. He had the place in stitches so this time around, the bar was set high. True to form he absolutely smashed it, keeping the mood high throughout the speeches. I love it when friends or family members play non traditional roles on wedding days. Makes it much more interesting. It's safe to say that I absolutely loved this wedding. I say this all the time but having couples like Jamie and Sarah trusting me with their wedding is an amazing feeling. This job just gets better and better. 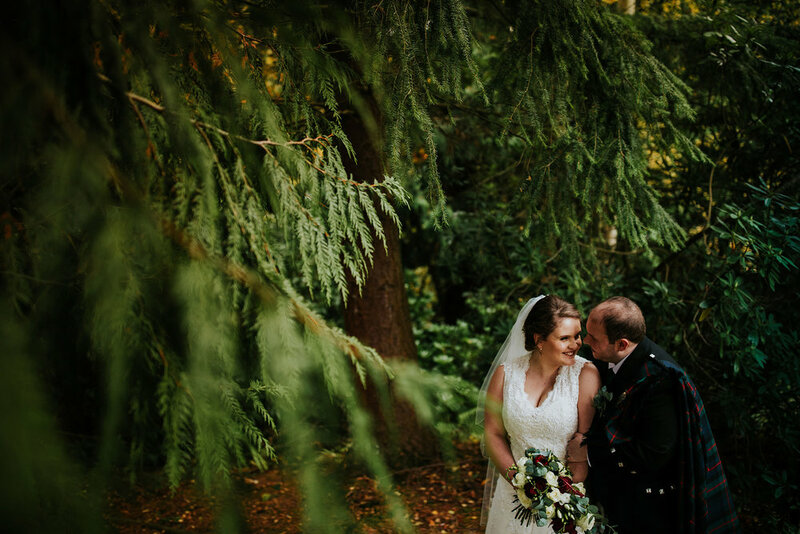 A huge thanks to The Lindsays' for having me photograph their big day. 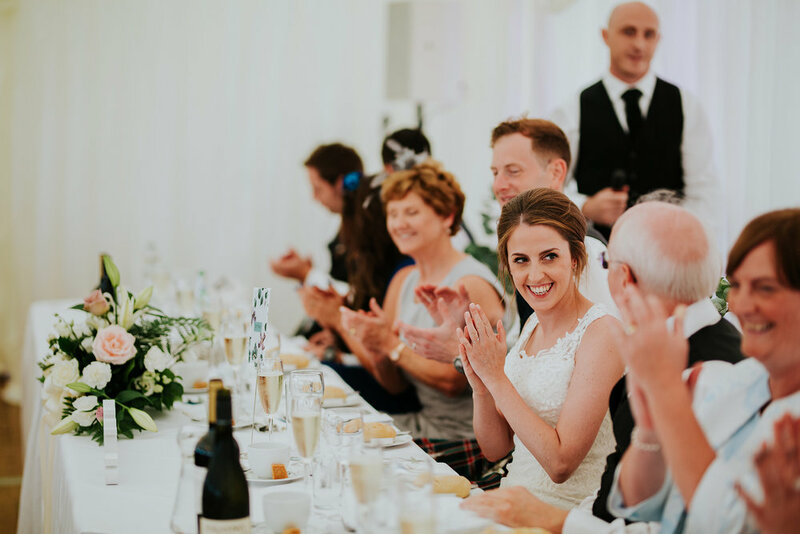 To Tracy at Archerfield for being so amazing and all the other suppliers mentioned below who helped make the day perfect! Gaaaaaaaawwwwwd this was a good wedding. 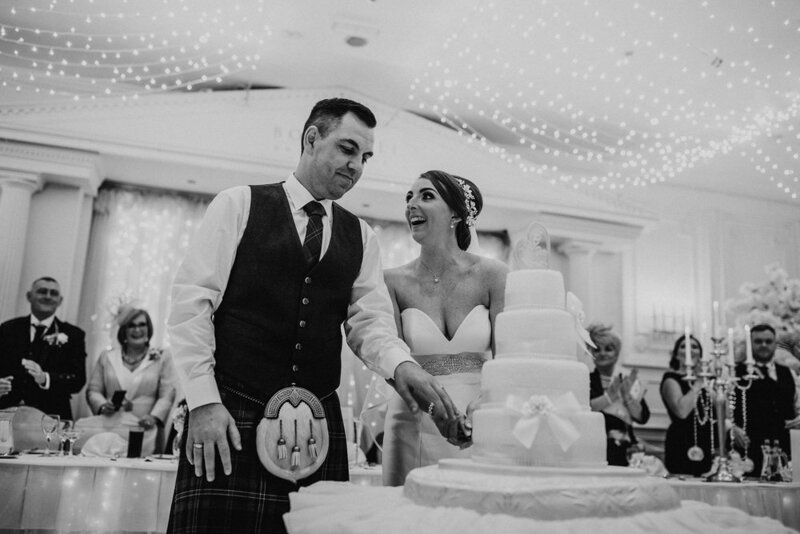 Looking back through Charlene and Graeme's wedding pictures in preparation for this blog post was a lot of fun. 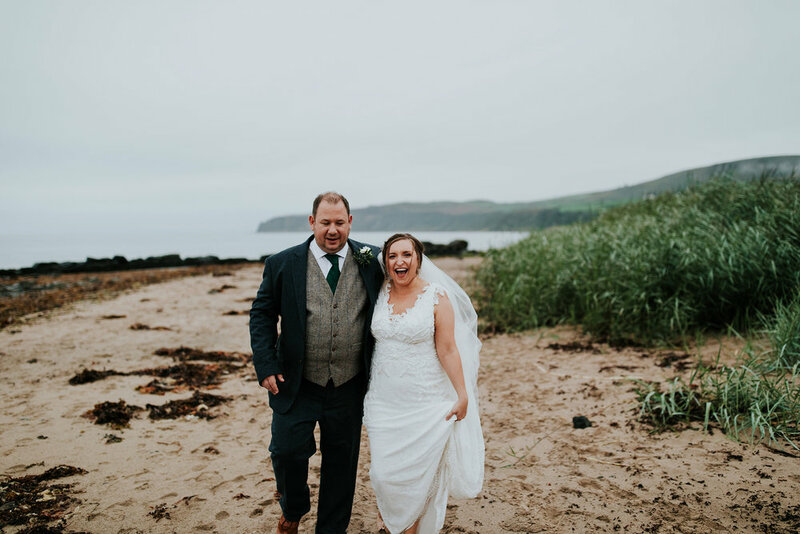 I had met Charlene and Graeme at a couple of weddings previously so it was great when they asked me to photograph their wedding and the wedding day did not disappoint. As I often book up pretty early, it can be quite a long time between booking and meeting up to chat through a couples wedding so when we met up on a summers night last year to chat about their day it was so good to see them again and as always, they were super chilled and excited about having all their friends and family together for the big day. Crossbasket Castle Photographer | Glasgow, Scotland. "Ross, Thank you SO SO much! We really couldn’t be happier with these. They are amazing!" Every time I get an enquiry through for Crossbasket Castle, I am frantically searching my calendar and hoping I am available on the date. 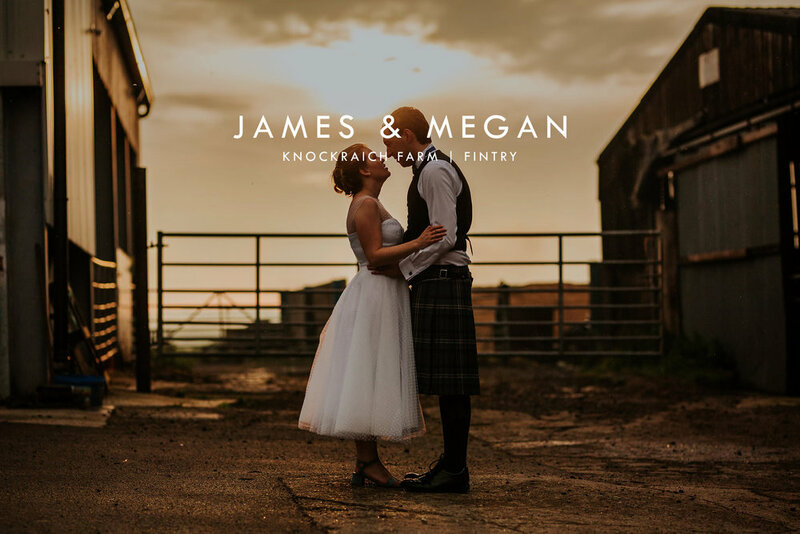 Not just because it's 10 minutes down the road from me but because it's an absolutely stunning venue and after my very first wedding there, I was hooked. So when Mark and Scott got in touch and asked me to be their photographer, I jumped on board! You guys KNOW I love da CITY VIBEZZZZZ! 2017 had many a city wedding and I was at 29 Private Members Club, not once, not twice, not even 3 times....I was there 4 times in the space of 8 weeks and it was fantastic. If you like a venue, it's no problem. This time, I was there for Louis and Louisas wedding. 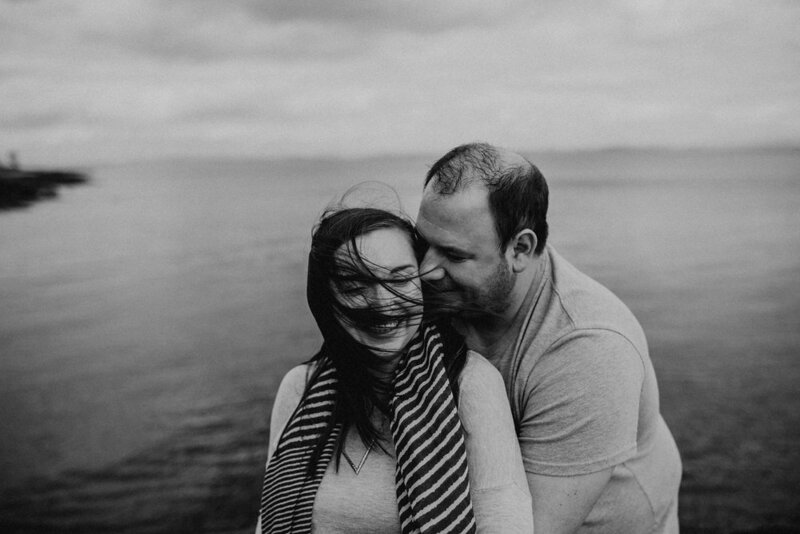 I met up with them exactly a year before their wedding where we chilled in the 29 bar and got to know each other. One thing that is consistent with all my couples is that they're all super easy to talk to. More often than not the wedding isn't even mentioned until a good while into the conversation. Ok people!, Get comfy cos this is a goody. If you want mean and moody and huge landscapes, then you're in the wrong place. If you want genuine heartfelt love and laughter...then take a seat. 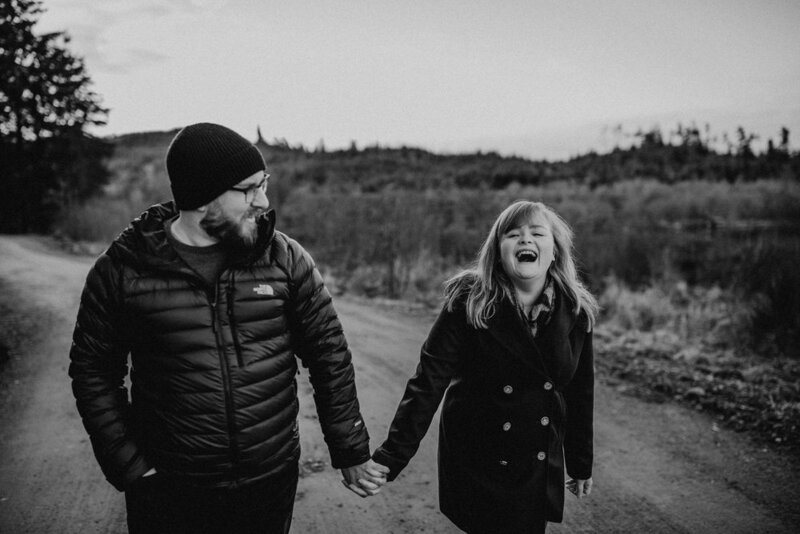 Suzy and David got in touch about 2 years before their wedding. 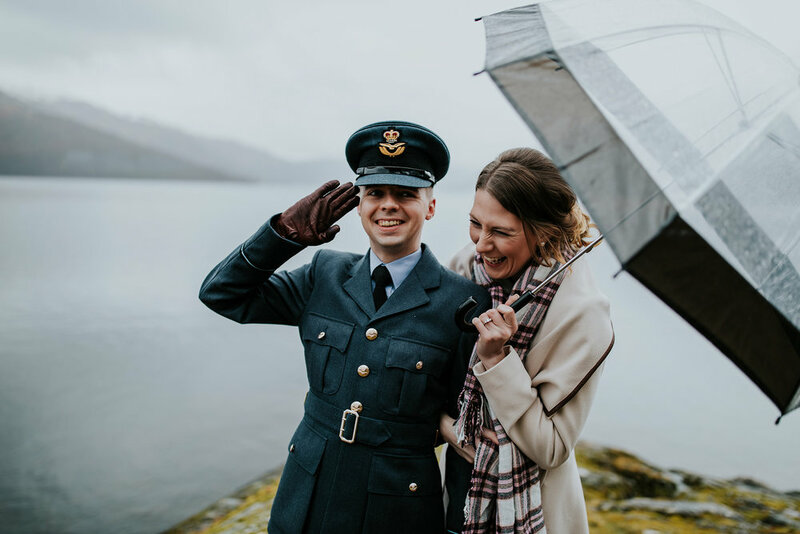 From the initial email, to meeting up for a coffee and chat about their day, to the wedding and everything after...it has been a true honour to know them and be their wedding photographer. 2 of thee most loveliest and genuinely nice people I have ever met. The positivity is bursting out of them and you can 100% see this from their pictures. I don't think I've seen so many smiles in the one day. 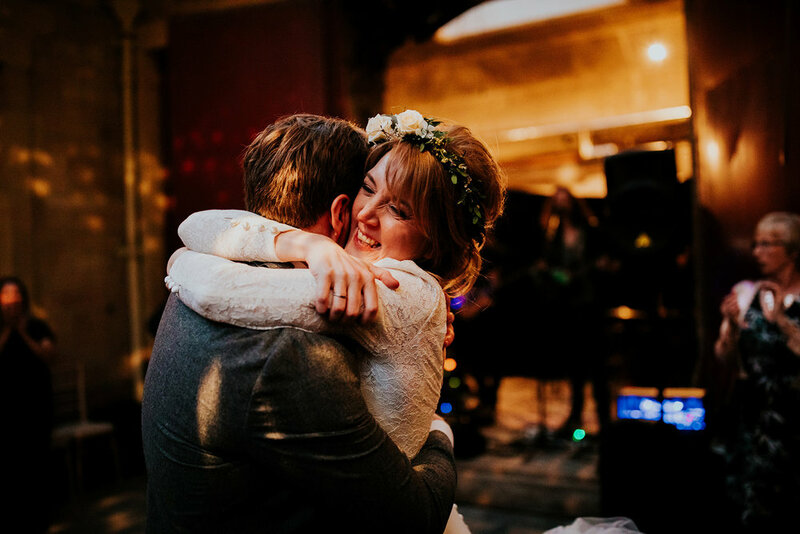 Their happiness is infectious and you could feel the love throughout every aspect of their wedding. 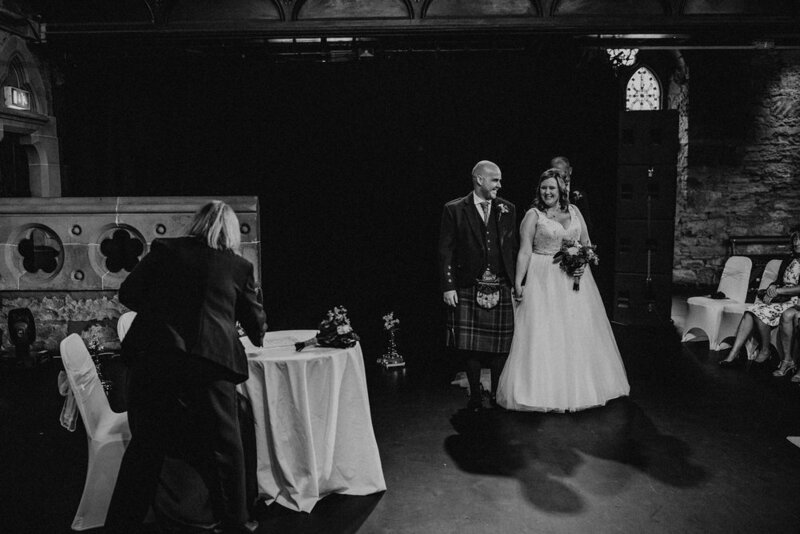 This was my first time at Pollokshields Burgh Hall and it was great! It's pretty much a DIY venue so you can style it in any way you like. Another wedding from 29 Private Members Club, another belter! When you walk into bridal prep in the morning and everyone chats away to you as if they've known you for years, you get a cuddle off the brides mum, and the bridesmaids are piercing their own ears...you KNOW you're onto a winner.